Week 2 of the 2019 USL Championship season provided some answers but also raised some new questions about which teams are contenders and which are pretenders. Before New Mexico United and Fresno FC kick off Week 3 tonight in the Championship’s Game of the Week on ESPN3 (9 p.m. ET | Match Center | Preview), I took some time to provide some insight on the questions that fans across social media have been asking since Saturday night. Reddit user @phat7deuce asks: It's only Week 2, so it's not time to overreact to anything...but let's do it anyway. What are we overreacting to – who are our "way too early" concerns and who are we way too excited about? It’s never too early for some overreactions! In the East, I’m a little bit worried about Nashville SC – the team I predicted to lift the USL Cup this year – because the offense just hasn’t been there so far. Falling at home to a gritty Saint Louis FC isn’t a huge deal, but the fact that Gary Smith’s side has managed just two goals in two games with all its new offensive weapons is. In the West, I think it’s fair to express some concern with San Antonio FC’s defense, which has conceded six times in two games. Offensively, SAFC has created the most chances of any team so far (34, 10 more than any other team) but has just one point to show for it because of some lackluster defending. On the opposite end of the spectrum, I think the Tampa Bay Rowdies could be a team that we might be getting way too excited about. The Rowdies have yet to concede a goal and have allowed just one shot on target in its opening two games. Don’t get me wrong, I think Tampa Bay is a playoff team, but I expect its results will even out potentially starting this weekend in Saint Louis. In the West, I’m not sure if one game makes us officially excited about Tulsa Roughnecks FC but its 5-3 comeback win at Orange County SC was certainly eye-opening. However, Tulsa has only created eight chances over its first two games and still managed to score six goals thanks to a league-high shot conversion rate of 50 percent. I don’t think that’s sustainable. @sixpointweekend asks: So North Carolina FC has two wins from two, scored five and gave up one and is still top of the Eastern Conference. It's still early but...are we a playoff team this year? Speaking of potential overreactions… Everyone is on the North Carolina FC hype train and I’m on-board as well. While my colleague Nicholas Murray ranted and raved this offseason about the improved Charlotte Independence, I quietly suspected that NCFC was a playoff team and predicted that Dave Sarachan’s side would claim the Southern Derby over its in-state rival and the Charleston Battery. While the opening-day thrashing of Louisville City FC probably raised expectations a bit too high, results like Saturday’s 1-0 win at Bethlehem Steel FC are exactly the ones that propel sides into the postseason come October. NCFC’s matchup with Charleston after the upcoming bye week will be another good litmus test. Concern is a relative term when it comes to these two as they remain among the leagues best and will surely be poised to do some damage come October. However, the 2018 USL Cup finalists haven’t been particularly convincing early this season, especially on the defensive end. Louisville City FC conceded four goals on the opening weekend at North Carolina FC before being out-attempted 12-7 in a 1-0 victory over ATL UTD last Friday. Meanwhile, Phoenix allowed three goals in each of its opening two games – both draws – against San Antonio FC and New Mexico United. While the Louisville back line has struggled to handle high pressure early on, I’m comforted a little bit by the side’s 73 percent tackle success rate that ranks sixth in the league. Meanwhile, Phoenix falls in the bottom half of the league in that category (just over 61 percent) and has faced 31 shots so far – tied for third-most in the league. The worrying part about that, which was especially true in the New Mexico game, was that they were simply allowing attackers too much space and time to shoot from distance. As Santi Moar and Kevaughn Frater showed, you’ll get punished if you don’t step to the ball and apply some pressure. Reddit user @Blueand_Red asks: Eleven seems to be creating a habit of giving up late goals. Do you think this is due to playing three on the back line or early season miscommunication/lack of match fitness? Do you foresee this being remedied at all or is Eleven's plan this year to score early and hope offense wins championships? I don’t think Indy’s habit of conceding late goals (four in the 69th minute or later) has as much to do with formation as it does with desire and miscommunication. In the opening-weekend loss at Saint Louis FC, it simply looked like the home side wanted it more and fought for loose balls through a bit of chaos to get its goals. In the Charlotte game, Indy stepped off the gas after going up 3-0. It nearly cost them, but that will happen sometimes – especially early in the season. With three of Indy’s back four – including goalkeeper Evan Newton – being new to the team this season, I think it’s fair to expect some growing pains to come along as the group looks to build communication, positional awareness and trust. While I expect things will get better from here, it most certainly will be Indy’s offense that will make it a contender for the USL Cup. @KodyAllenson asks: Good question: Which @USLChampionship club will stay undefeated the longest? Better question: Which @USLChampionship club will stay defeated the longest? A total of 15 teams enter Week 3 unbeaten (six in the East, nine in the West), so there are plenty of options to pick from. While the side hasn’t been overly convincing in its pair of 3-3 draws, I’m going to go with Phoenix Rising FC as the team to stay undefeated the longest. A lot of that comes down to scheduling, as Rising FC has a bye this weekend before a five-game run that includes home dates with Colorado Springs Switchbacks FC, Fresno FC and the Tacoma Defiance, and visits to expansion sides Austin Bold FC and El Paso Locomotive FC. Phoenix should stay unbeaten until visiting Sacramento Republic FC on April 27 – if not beyond that. On the other hand, only Rio Grande Valley FC, Hartford Athletic and Birmingham Legion FC have picked up two consecutive defeats to open the season, while the Charlotte Independence and Pittsburgh Riverhounds SC both lost their season openers in Week 2. Of the five, I see Hartford as the team that stays defeated the longest as its opening road trip gets even harder with upcoming trips to Louisville, Indy, Tampa Bay and Pittsburgh. Thanks for all of your questions, see you next week! John Arlia is the USL’s National Writer and covers the league extensively for USLChampionship.com. 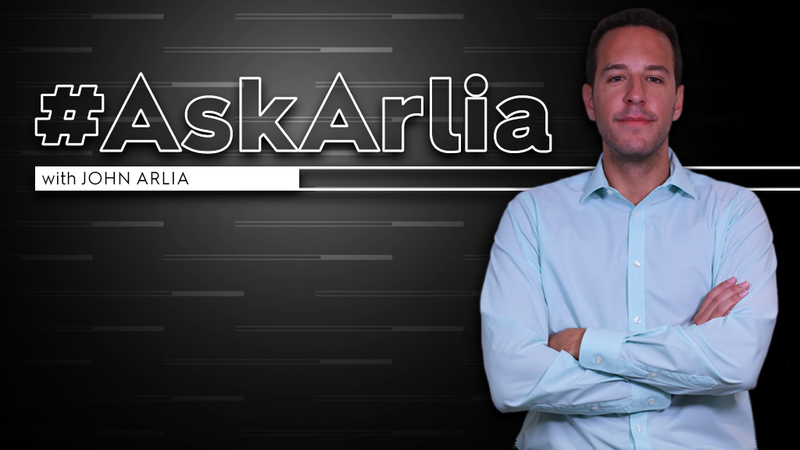 If you’d like to take part in next week’s mailbag, follow @johnarlia on Twitter and ask him a question using #AskArlia.